Nautilus Minerals Inc has announced that its production support vessel has been launched yesterday at the Mawei shipyard in China. 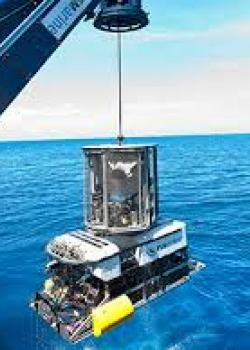 The vessel will be used by Nautilus and its partner Eda Kopa (Solwara) Limited at the Solwara 1 project site in the Bismarck Sea of Papua New Guinea. At the launch, Nautilus Mineral’s chief executive officer Mike Johnston said; “Today’s launch is a significant milestone for the Company and the deep water seafloor mining industry. “Mawei Yard has designed and built the world’s first deep sea mining production support vessel, in cooperation with Nautilus and Marine Assets Corporation. This has involved much discussion, thought and innovation, to produce this magnificent vessel. Nautilus differentiates itself from others by having a ‘first-mover advantage’ which is protected by intellectual property and 20 patents. “Once our new vessel is delivered and subject to final funding, mining operations at 1600m water depth is anticipated to commence in late 2019,” Mr Johnston said.